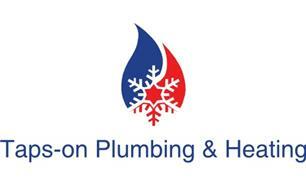 Taps-On Plumbing & Heating - Central Heating Engineer, Plumber based in Bristol, Somerset. Taps-On Plumbing and Heating Services offer a professional service and are here to carry out all of your plumbing and heating jobs in the Bristol, Bath and surrounding areas. We are a company that you can rely on. All of our work is carried out with quality and safety in mind. Our aim is to provide you with a high standard of work at a competitive price. So whatever your plumbing needs why not give us a call and see if we can help. Examples of Services offered include: Boiler Repair and Installation, Boiler servicing, Landlord Gas certificates and safety checks, General plumbing, Central Heating Installation/Servicing, Radiators, Valves and Thermostats Installed/Replaced, Shower Installation and Repair, Gas Cooker Installation, Power Flushing.